Tasting the new loaded sugary drink gave immediate surprising reactions. This short lived Unicorn maybe better off once it leaves the menu for good. Update Today marks the last day to take a nice high ride on the colorful Frappe sold only at Starbucks. It will get you going Unicorn Style. Don’t be alarmed. This Frappe has levels to it with seven flavor changing colors. First it’s sour then it gets really sweet and fruity as the whipped cream drowns the sugars and food dyes only to come back around. For $4.95 get ready to have a lasting memory with this bubbly designed frappuccino. Adventures I decided to give it a try after the attractive Ad trending on Twitter got my attention. It made me get out of bed quickly this past Tuesday with good intensions. So excited my eyes lighted up vibrantly for this brightly colored pink frappuccino, I called a good friend to share the experience. Boy was I in for a surprise! Criticism Did I taste food dye, or were the colors too powerfully sweet? This drink was not my style. It was almost like cheating on my regular iced coffee with vanilla sweetener and a splash of 2% milk. I instantly asked for a refund. I didn’t want the hyper unicorn in my life for another five minutes. On the other hand my friend loved it. Although shocked by my impulse to get a refund. No, It’s a one sip drink. The barista returned my true love. Here’s your iced coffee she replied. Lisa Frank has done a better job of making things look pretty darn good. Frank created folders and other bright accessories in the 80s and 90s. Children loved it. Her designs portrayed confident appearances, but no one dared tried to eat it. Skepticism Maybe its the tolerance for the fact that my taste buds became confused. Simplicity is better. Trending on every social media outlet like Twitter, You Tube and Facebook. 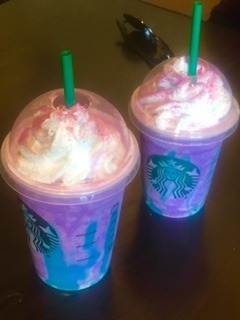 Fans of the new drink created parodies also expressing their reactions to this popular unicorn. 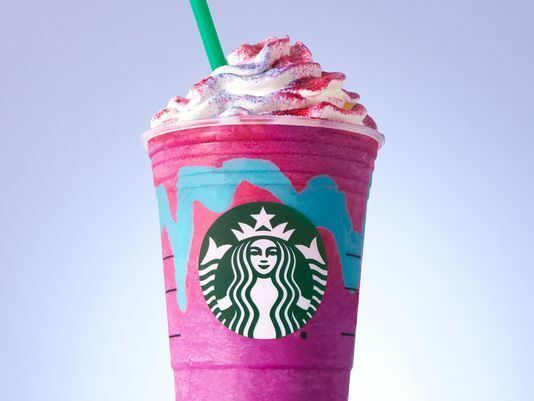 Every Starbucks on this planet is blending a colorful unicorn into the hands of customers adults and children who some as loves this flavor changing drink. Next article When is the right time?